The ketogenic diet — a diet in which one consumes low-carb, high-fat foods — really hit the mainstream this year. The diet was so popular, not only have many celebs, including Halle Berry, jumped on the keto diet bandwagon, but searches on Pinterest for “keto thanksgiving recipes” were also up 175 percent compared to last year, according to ABC News. In short, the keto diet requires that 5 to 10 percent of your total calories come from carbs, and you can only consume 20 to 50 grams of net carbs per day. It’s not an easy feat. That said, it’s not surprising finding keto-friendly store-bought products can be a challenge. But there’s no shortage of keto recipes, including keto-friendly soup recipes. In the cold winter months, a warm bowl of soup undoubtedly always hits the spot, so we’ve rounded up 11 keto-friendly soup recipes you’ll want to try immediately. From Instant Pot soups to hearty, creamy soups that might just remind you of home, here are the soups you’ll want to try tonight. 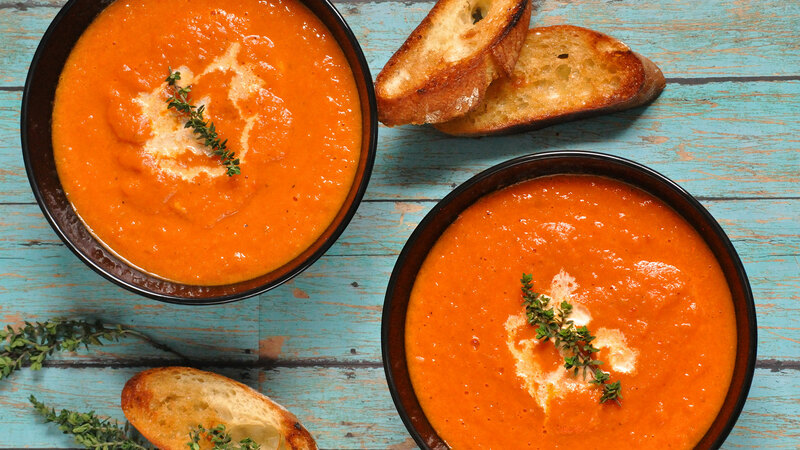 Bursting with fresh roasted tomatoes and basil, this elevated, surprisingly low-carb tomato soup will have you returning for seconds. 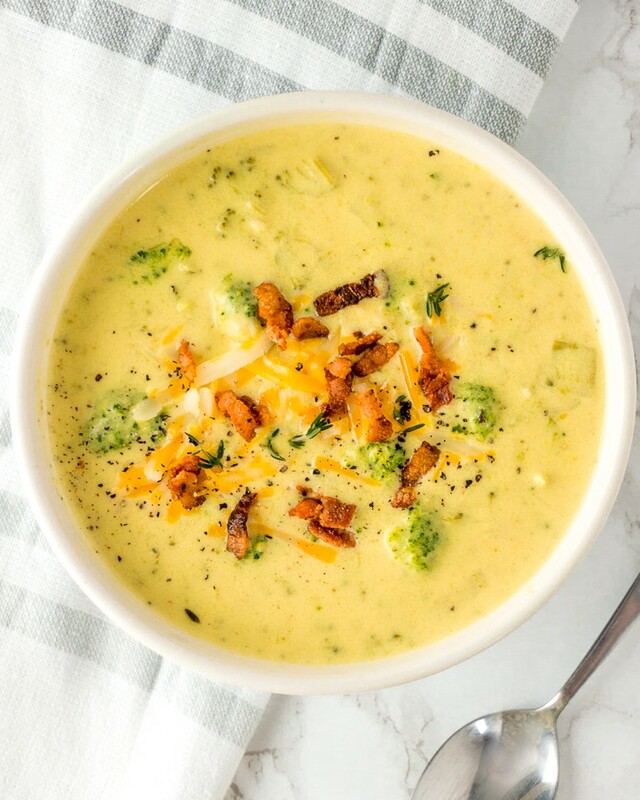 Who doesn’t love a hearty bowl of broccoli cheese soup? This low-carb version is topped with extra cheese and crumbled bacon and takes about 30 minutes to make. 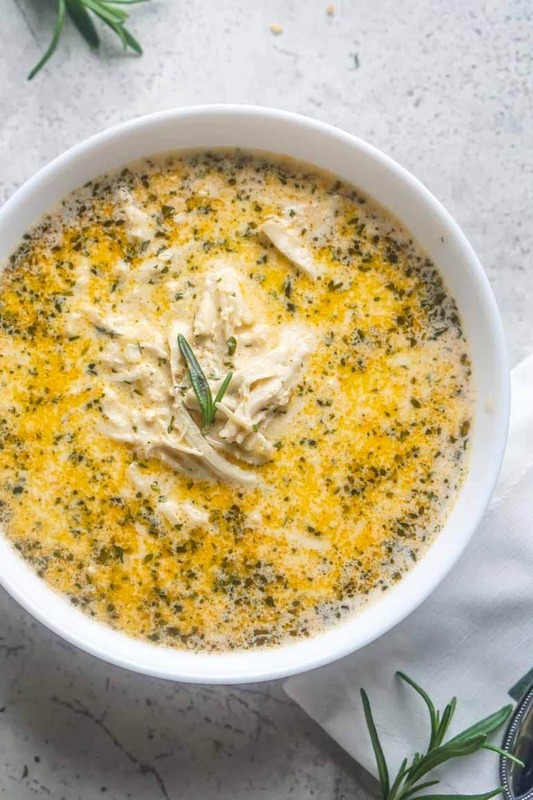 The bloggers behind Ketogasm loved Stacey Hawkins’ Garlic Gusto spice blend so much, they went to work creating this shredded chicken soup recipe that only takes 20 minutes to make. 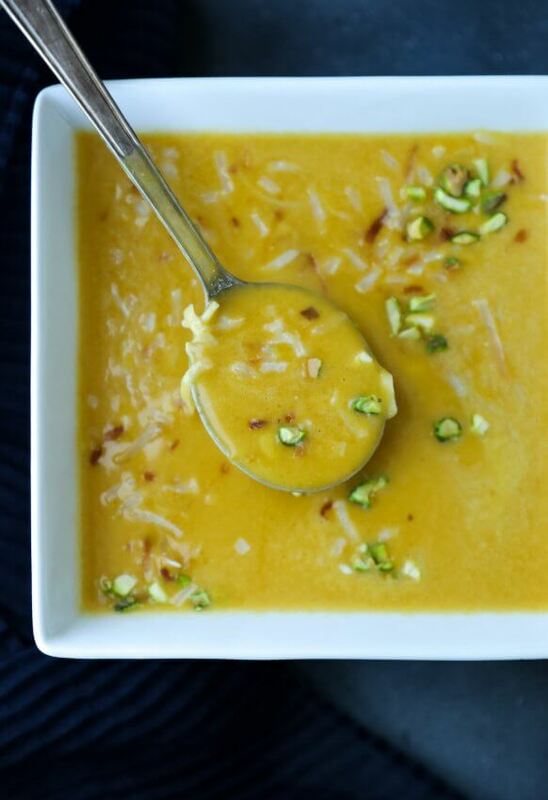 Fall might be behind us, but pumpkin-flavored soups are certainly still in. This particular recipe is dairy-free, soy-free, nut-free and coconut-free and embraces all the fall flavors you love. 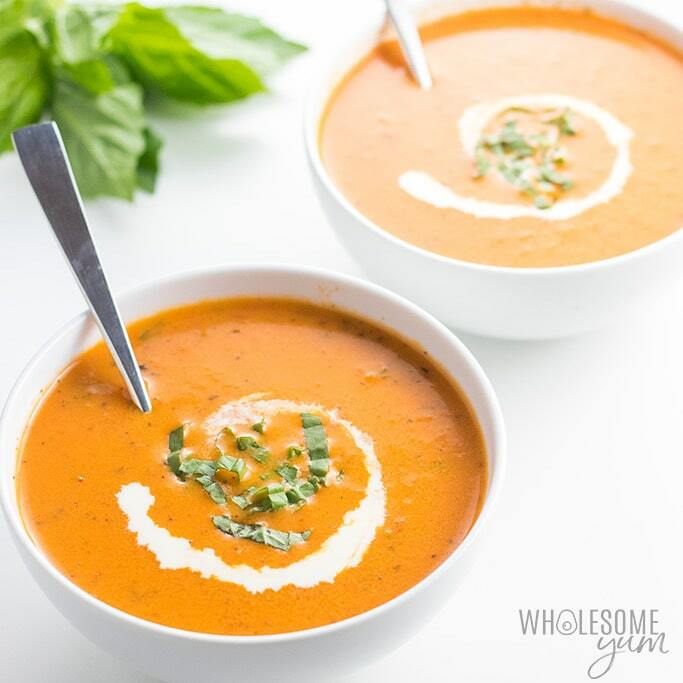 A great source of protein, omega-3 fatty acids and fiber, this low-carb vegan carrot soup will certainly warm you right up on a cold winter day. Image: Peace, Love and Low Carb. Who could possibly pass up fajitas in a bowl? 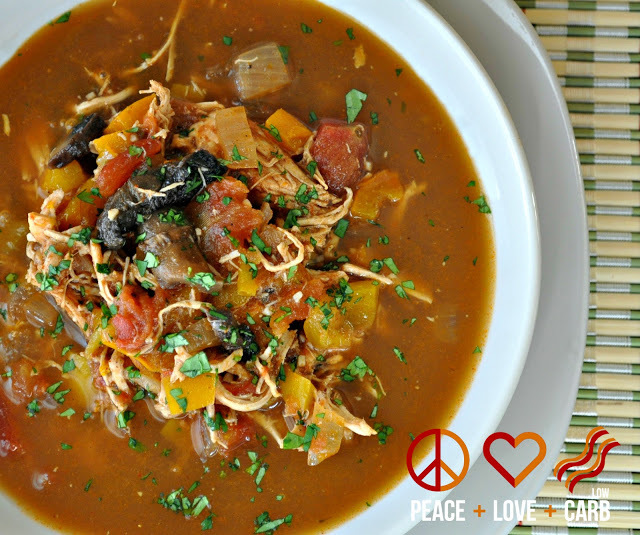 This low-carb chicken fajita soup is topped with chopped fresh cilantro, shredded cheddar cheese and sour cream, but be warned: This will simmer in your slow cooker for seven hours. 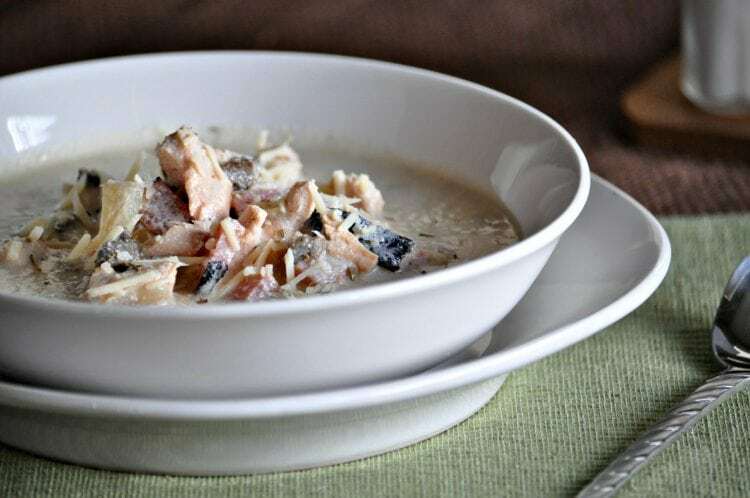 Get started on this flavor-packed chicken cordon blue soup that cooks low and slow for six hours in a slow cooker. Image: All Day I Dream About Food. 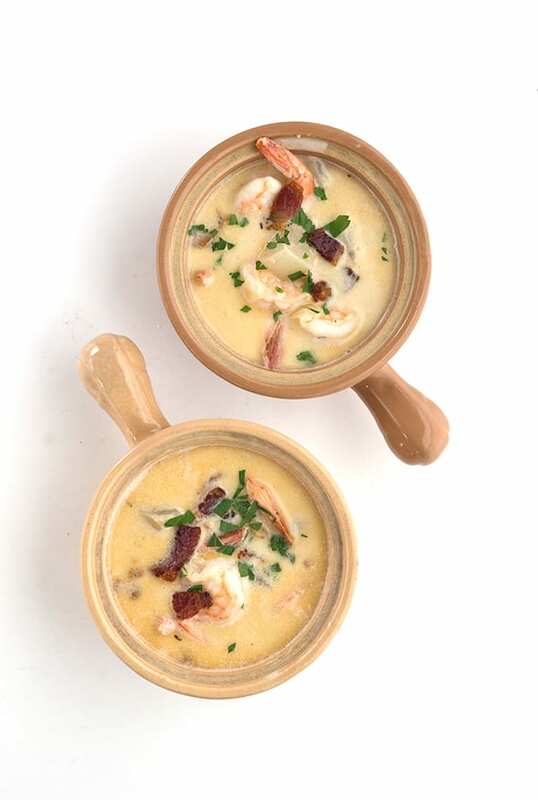 On days when all you want is a hearty bowl of chowder, this shrimp and bacon chowder will hit the spot. One bowl is packed with tender shrimp and topped with crispy bacon. Image: I Breathe I'm Hungry. 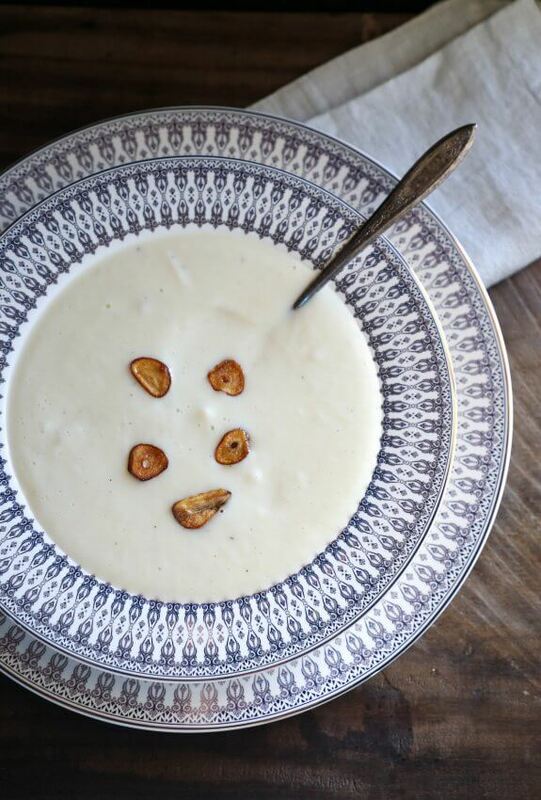 A low-carb, vegetarian cauliflower soup that’ll cook in a mere 15 minutes in your Instant Pot? Count us in. I Breathe I’m Hungry also has instructions for how to make this lush soup on the stovetop and in a slow cooker. Keeping dairy at arm’s length? No problem. 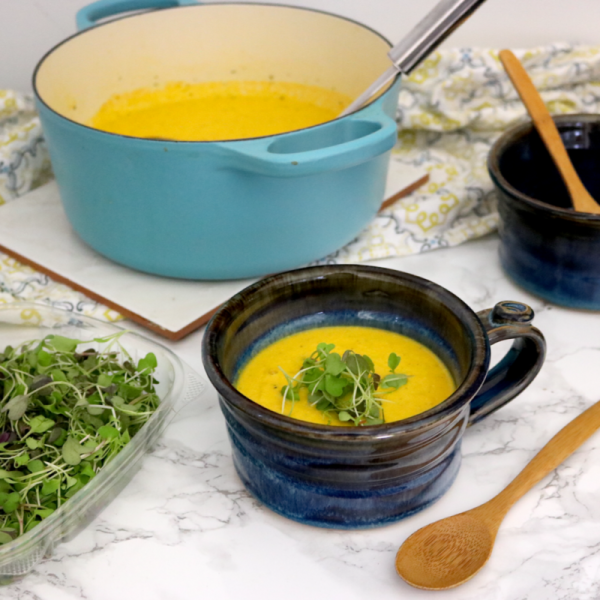 This curried squash soup made with butternut squash is dairy-free. 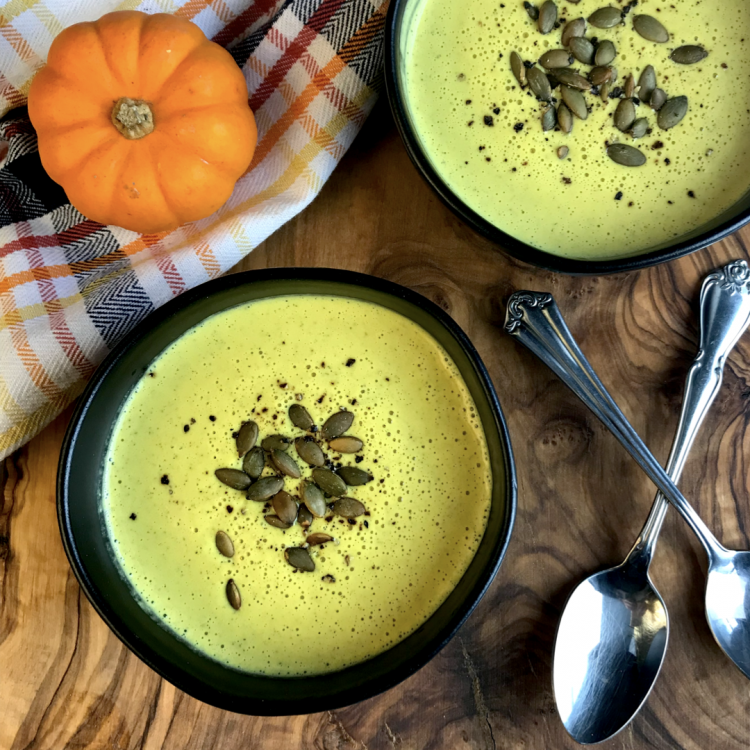 Plus, this creamy soup, topped with toasted coconut and chopped pistachios, is Whole30-compliant and only takes 30 minutes to make. 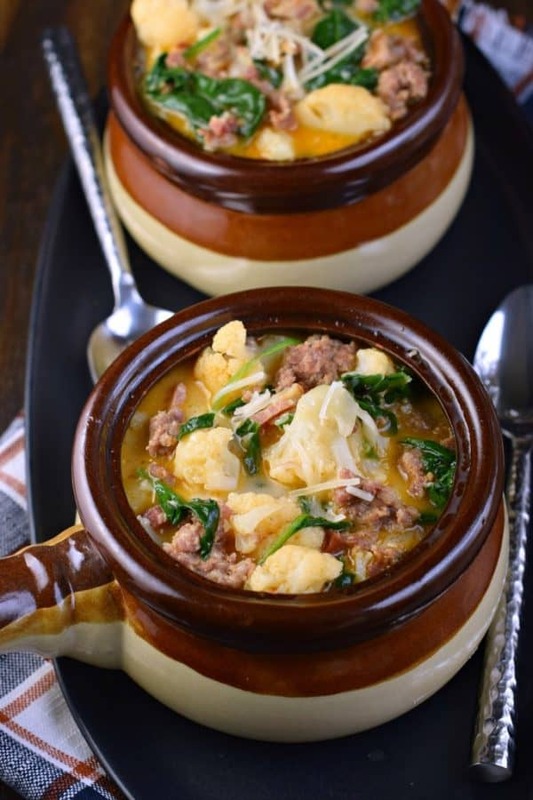 Crispy bacon, Italian sausage, spinach, onions, garlic and cauliflower make this low-carb soup irresistible.